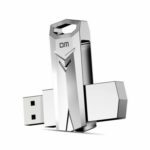 This DM PD095 USB flash drive features high-speed USB 3.0 interface, allows to transfer files in a flash. 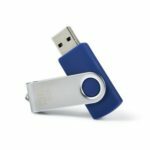 360 degree rotation design, covers and protects the USB end while carrying it around and turn back in any position, for the most comfortable use. 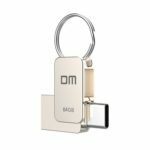 Capless design with integrated loop makes it easy to attach to key chains, backpacks and etc. 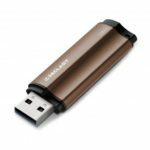 Allows to transfer files in a flash, and backward compatible with USB2.0. Max read speed reaches up to 120MB/s. Apply UDP encapsulation, after soaking in water for 24 hours, it still can be used after drying. 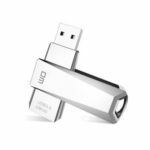 Covering and protecting the USB end while carrying it around and turn back in any position, for the most comfortable use. Capless design with integrated loop makes it easy to attach to key chains, backpacks and etc. Mini design so that you can put it in pocket or any small space. Widely compatible with Windows 98/ me/ 2000/ XP/ Vista/ 7/ 8/ 10; Max OS 9.x or later; Linux Kernel 2.4x or later. Small size with 64GB large capacity, let you easily store important files.